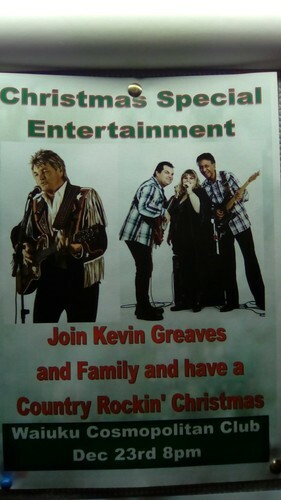 Featuring Nashville recording artist and Award Winning Country Comedian Kevin Greaves. Join and family and have a country rockin' Christmas. Shunter's Restaurant, at the Waiuku Cosmopolitan Club is open for dinner from 6pm. Heaps of free parking. Free courtesy coach in the Waiuku area. Club rules apply.